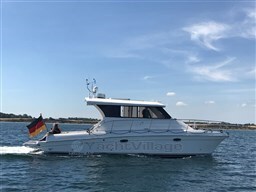 Midships, rough water catamaran with excellent seakeeping and impressive Volvo Penta engine, extra large new diesel tanks for a long range! Exclusive offer at Michael Schmidt & partner. Central agent! Detailed questions are welcome. Please contact us, we have visited this yacht for you. The Bavaria 50 Cruiser, is a spacious 5 cabins combines sailing yacht, the enjoyable sailing and ample space for large groups or families. It is sold with Pütt & p! Miele 2 electric hot plates, refrigerator, freezer, Electr. Kettle / tonneau cover outside steering position, winter boat cover + stainless steel scaffolding over the whole ship / u.v.m. Lifted gas number of burners 4, double sink, refrigerator, 220V, pressure washer hot/cold 220V Miele 2 electric hot plates, refrigerator, freezer, Electr. Kettle Anchor 2 plough anchor, 2 gr. Sea anchor, anchor chain length 62 u. 80, electrical wind let + manually operated propeller Batteries number 12 total Ah 900 type gel &amp; AGM, on-board power supply 12V 24V, shore power, battery charger A 130, generator kW 6,8 2 Mariner 800 Country connection 380V or 3x220V, 2 x extra battery chargers 90A and 16A Pushpit, pulpit, guard rails, fire extinguisher, navigation lights, life raft number of persons 24, life ring, life jacket number 32, acoustic signal conditioning Main sail 62 qm, Genoa I 120 sqm, Head Sail 48 sqm, mizzen Mizzen Ketch Tonneau cover outside steering position, winter boat cover + stainless steel scaffolding throughout the ship Heating, air condition, CD player, radio with cassette u.v.m. The navigation course of the CARIBIC 40 is designed with the bench seat and not with the stool, which shown partially in the brochures. Mooring on Lake Constance can be taken over with! LOFRANS Electr. Anchor windlass / BLAUPUNKT stereo system, holding tank with Zer hacker pump, hull. Shape glued, 5 x epoxy + mahogany, West system Inside steering position inside and outside were made with joystick / extensive reconditioning of all wooden parts in 2012 to EUR 20,000. 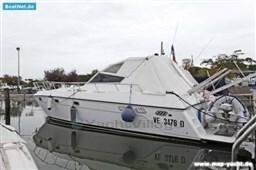 Oven, hob gas number of burners 3, refrigerator, pressure washer hot/cold Anchor CQR, anchor chain length 40, electric bilge pump, mechanical bilge pump, electrical wind let Lofrans &lt; br / &gt; LOFRANS Electr. Anchor winch Batteries number 3, shore power, battery charger A (Mobtronic) MOBITRONIC BatterieladegerÃ ¤ t Pushpit, pulpit Main sail 2 x Raudaschl In-boom furling main, furling-jib system, winches number 6 (4 LEWMAR 2 speed winches, 2 ANDERSEN) Sloop Heating Eberspächer, air condition, deck shower, swimming ladder, stereo system BLAUPUNKT stereo system, holding tank with Zer hacker pump, hull. Shape glued, 5 x epoxy + mahogany, West system Inside steering position with joystick Extensive reconditioning of all wooden parts were made in 2012 for EUR 20,000 inside and outside. The place of refuge on Lake Constance can be taken over with! 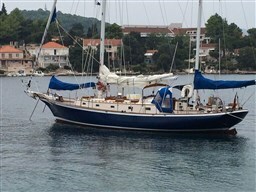 Like new, hardly used charter yacht with full facilities, sale or takeover with (partial) chartering possible! Exclusive offer at Michael Schmidt & partner. Central agent! Trim level: Charter / family Electronics package A from B & G Interior: Albi mahogany Brochure photos are photos 1 + 2! Complete refit 2018, "better than new"! Cockpit furniture lacquered inside and out. The yacht is a copy of a classic model. The tear is from 1936. 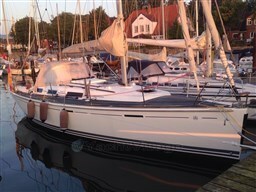 Vindö 30, the sleek, quick, elegant! The classic long Kiel from Sweden. Drawn by the later Hallberg Rassey constructor Off to dispose of 2nd hand due to change of area. 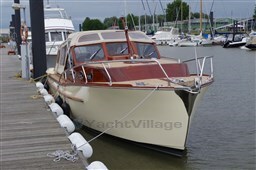 The yacht is very well kept, had always a winter Hall place, teak deck new (by 2015), sailing totally renewed (2016), Sprayhood new (2016), Volvo PENTA MD7A - new transmission, new engine mounts Exclusive offer at Michael Schmidt & partner. Central agent! Detailed questions are welcome. Exclusive offer at Michael Schmidt & partner. Central agent! Detailed questions are welcome. 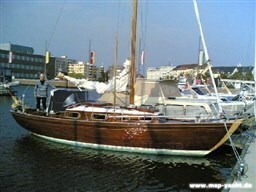 The Tayana 52 is an excellent segelntes and built in quality boat building MIttelcockpityacht for the long ride. Fully equipped and maintained full of love! The machine was serviced annually. Red cushions in the living room. The Bavaria 890 is extensively equipped. From 2015 to 2017, many things were renovated and built a wharf-side. You like to receive on request a list for this purpose. Completely new TBS deck in 2017! Underwater ship was renewed in 2016. Exact year of construction is not known. the Bavaria 890 was built between 1981-1985. Exclusive offer at Michael Schmidt & partner. Central agent! Detailed questions are welcome. Please contact us, we have visited this yacht for you. 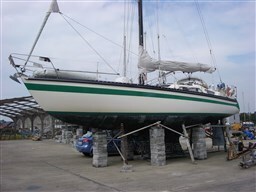 The Farr 41 is from 2nd hand. The following steps have been completed: 2008 Remove all old antifouling layers by mineral blasting Application of 5 layers of epoxy Gelshield international for preventing osmosis Marine Technics Zeebrugge new boom Sparcraft F810 Furling system of Genoa of Flachdecker RC180 of Facnor detachable Headstay for Staysails 2010 Raymarine ST6000 autopilot replace SPX10 Installation remote control Raymarine autopilot 2011 Replace shaft seal and elbows North Sea boating Blankenberge 2011 new standing rigging and adjustable Backstay adjuster Wittevrongel Blankenberge 2013 New oar bushings 2016 Replace the battery 2 x Exide gel 140A Replaced battery charger Victron Phoenix 12/50 and battery controller Exclusive offer at Michael Schmidt & partner. Central agent! 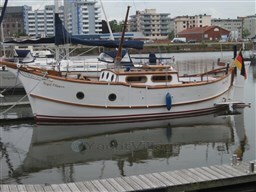 The yacht is built in the classical style. Mahogany colours in the Interior in Maple colours. Bathroom in white, the yacht is operated single-handed! Built for long ride! This Deck Saloon from JEANNEAU offers superb accommodation with spacious cabins very fast upwind and downwind Genaker upon request. 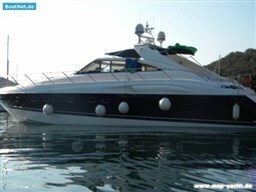 A fantastic luxurious Deck Saloon with huge aft cabins perfect sitting arrangement. 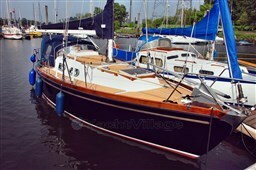 This boat is a dreamy item for everyone… Exclusive offer at Michael Schmidt & partner. Central agent! Detailed questions are welcome. Please contact us. BANDIT sets new standards when it comes to the condition of used yachts. After the complete refit in 2017, the yacht was hit hardly. It has a sensible list of equipment. Perfect opportunity to turn the key and get started. At ORC, the competition was extremely tough, 4 x 41 were at the last World Championships in the top 10. Also very convenient for fast cruises. 3 double cabins + 2 berths in the saloon. Comments of the owner I bought Bandit in 2017 and 2019 performed a complete refit in preparation for the Fastnet. The recent significant change of dates for the race means that I am at the time of the race in Canada. 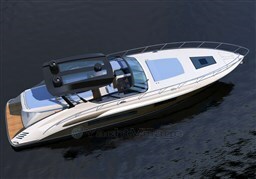 Bandit is a joy to sail with two hands, light and responsive on the wheel and extremely pleasant to drive. My partner and I have driven extensively it along the South coast, with a few channel transitions that were thrown in the last year. The North racers were sailing by 2015 only rarely used and are therefore in good condition. Like to receive more details on request! Schooner in traditional best craftsmanship by the shipyard owner built. 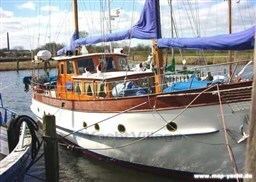 A yacht for the connoisseur of traditional shipbuilding art! Gas number of burners 3, picked up washer sink unit, refrigerator, pressure hot/cold Anchor chain zinc plated length 50 Ø 10, electric bilge pump, windlass, propeller number of 4 blades, windshield wiper Batteries number 4 total Ah 400, on-Board of power supply 24V, shore power 220V residual current circuit breaker (RCCB), battery charger, 220V socket Pushpit, guard rails, fire extinguisher, navigation lights, life jacket number 3 Main sail, Head Sail, mizzen, jib Mast wood, wood, boom mizzen Schooner Heating hot water central tender, TV antenna, fenders / mooring line Schooner in traditional best craftsmanship by the shipyard owner built. A yacht for the connoisseur of traditional shipbuilding art! 10 guests in 4 cabins (including crew) Detailed specification on request! 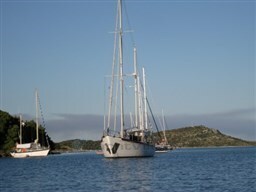 Southerly is yachts for well processed Cruiser yachts with variable depth. 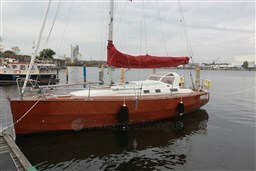 These 47 is still in its original ownership and has been well maintained throughout her life. Every winter professionally and regularly serviced. LUMINOUS features dark topside, teak deck, Selden carbon mast, bow and stern thrusters and a comprehensive package of electronics. It is now offered for sale because the owner would like to enlarge. Comments of the owner I am proud to be the owner of LUMINOUS. It attracts over again admiring comments from viewers. She brought my young (not gliding) family and friends first on the Isles of Scilly and then over the Bay of Biscay, Gibraltar and Majorca to Sardinia. 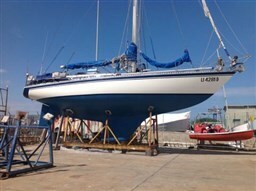 She has returned to Mallorca to leave water in the winter, so that moves for next season in a nearly new condition. Depth 1 m - 3, 12 m More details and accessories on request! Broker’s Comments: This 2007 Aleutian 59 is in her third ownership, and is in staggeringly good condition, with significant work during 2016, to include: •	All guest cabin original headlinings replaced with smart silvered panels. •	All pumps and motors overhauled in 2016, including windlass motor and davit crane. •	New TVs and trim to Owners and forward VIP cabins. •	Batteries replaced 2016. •	Reconfiguration of crew cabin to give one double (port) and two single (starboard) berths. • Soft furnishings to saloon and wheelhouse re-trimmed (including both Stidd helm seats). With every conceivable comfort, this little ship is thoroughly sorted, and completely ready to wander. Detailed specification on request! As the smallest of the Holman and Pye-designed and built by oyster marine product range, she enjoys every construction and facilities you would expect from the larger oysters. An enormously capable yacht with a fantastic long cockpit and an Interior that feels much greater than it suggests their LOA. Comments of the owner The yacht was used in our 12-year possession easily, and sailed only locally. We have enjoyed it. 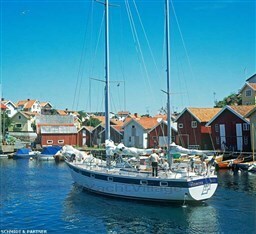 It is a joy to sail with only two people, and a very comfortable boat to spend time on board. With limited time to use them, it is more boat than we currently need, and with a certain reluctance, we have decided that it is time to sell. More details and accessories on request! Detailed specification on request! Refit in 2012 Hull material: carbon Kevlar composites A pre-sale survey for this powerful and comfortable Marten 80 is complete and available for you to view. The report confirms the yacht is in good to very good condition. She is ready to go. No refit required. 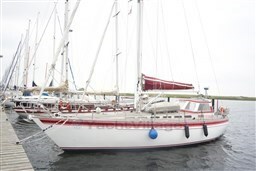 A Judel/Vrolijk design built by Marten Yachts this 80’ sloop is a fantastic sea boat for a client looking for ocean passages, a fast and comfortable ARC or cruising the higher latitudes. Three cabins plus a proper crew cabin forward of the galley, vast saloon and large cockpit provide comfort and safety while the powerful sail plan ticks the ocean miles. Detailed specification on request! Draught of 2.31-4, 70 m! A refit in 2012 envisaged a complete rewiring and new installation. Most of the devices were either replaced or overhauled. Rigg was in the Jan 2017 by FGK Sant Maarten inspection carried out and all masts and rigging as "good". Underwater hull and hull completely overhauled! New engine! 0 hours of operation! New upholstered in Burgundy. Requested bid! Exclusive offer at Michael Schmidt & partner. Central agent! Detailed questions are welcome. Please contact us, we have visited this yacht for you. Similar to OTH (over the horizon). Width 2,50 without hose with hose 3.20 Professionally maintained and equipped for extreme applications, as a surveillance and patrol boat (yellow light/blue light GL - acceptance, etc.) with certificate prepared and approved! There are 3 of this almost identical RIB's, can also be removed in the package! Exclusive offer at Michael Schmidt & partner. Central agent! Detailed questions are welcome. Please contact us, we have visited this yacht for you. Ample accessories, full equipment, sailing UK tape drive Alcantara light upholstery Sprayhood, cake stall, sail plane, as new instruments. The yacht has a total of 7 beds. Classic scandinavische beauty in a rare good condition! AGAINST BID! Exclusive offer at Michael Schmidt & partner. Central agent! Detailed questions are welcome. Please contact us, we have visited this yacht for you. Ice maker / color radar/plotter / hardtop with electrically operated sliding sunroof / LCD TV / DVD/radio with BOSE surround system in the lounge, LCD TV/DVD/radio in the owner's cabin, cockpit wet bar with sink and an electric BBQ Grill, fridge in cockpit, electrical Fixed mooring winches in cockpit, 3 x opening Salon door, electro-hydraulically opening tender garage, JetSki, door from the cockpit to the bathing platform Oven, microwave, refrigerator with freezer, dish-washer, barbecue Ice maker Electrical wind lass with remote control Batteries, on-board power supply 24V, shore power, battery charger, generator Searchlight Cockpit awning &lt; br / &gt; hardtop with electrically operated sliding sunroof Bow thruster, air condition, tender, outboard HP 15, deck shower hot/cold, swimming platform, CD player, TV, trim tabs electrically LCD TV / DVD/radio with BOSE surround system in the lounge, LCD TV/DVD/radio in the owner's cabin, cockpit wet bar with sink and an electric BBQ Grill, fridge in cockpit, electric fixed mooring winches in the cockpit, Salon 3 opening, door, opening electro-hydraulic Tender garage, JetSki, door from the cockpit to the bathing platform Running now since September 2017 in the Charter. The boat was refitted in spring 2015 carefully. 2017, the yacht was repainted at the end of the season. The Benetti 60 is technically and also visually in makelosem State.